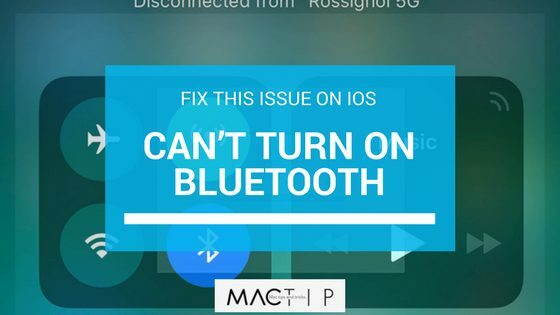 This article will discuss some of the problems iOS users have with Bluetooth. Sometimes users might experience issues like having the Bluetooth option being stuck on the Offsetting, being perpetually in limbo with a spinning wheel icon when you do get it turned on, or perhaps your Bluetooth is being uncooperative and refuses to connect to your iOS devices. Here are some tips on how to get your Bluetooth working if it is being stubborn. Simultaneously press and hold the on/off button on your iOS device in order to prompt the slider. Slide it to power off. Wait a moment and turn the phone on the same way you did in step 1. Apple’s logo should appear. Sometimes Airplane Mode can be accidentally activated; it is an honest mistake. However, because of this, it leaves confusion at times. Airplane Mode, even if it’s intentionally activated, can still cause some problems though. Luckily, whatever the case is, it is a simple fix. Go to your Settings, then Airplane Mode. Make sure your devices are close enough to each other. Signal strength is important and not having the Bluetooth accessory and iOS device nearby will negatively impact your connectivity. Verify that your devices are compatible with each other. If they are not compatible, nothing will work, no matter how much you try. You need to make sure that your Bluetooth device is discoverable. On your Bluetooth accessory, simply switch it on if it isn’t already. This is also an overlooked solution because it seems like a no-brainer, but confirm that your Bluetooth device is charged. If it doesn’t have enough battery life, it probably won’t connect. Charge it up until it is ready for use. Do You Have the Latest Version of iOS? 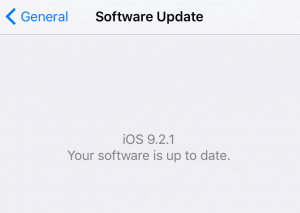 If you don’t have iOS up-to-date, you might need to update your software in order to get your Bluetooth working. Go to your Settings > General > and then Software Update. Select “Download and Install” if the screen says that you have available updates. Hold down the on/off and Home buttons on your iOS device until you see Apple’s logo. When you see this logo, let go of the buttons. This will initiate the hard/forced reset. In order to do this, follow these steps. Keep in mind, all of your information regarding this section will be erased. Make sure you have the password for your wi-fi prepared, so when you need to input it again it will be easy. Access your Settings page and then go to General > Reset. You will need your iOS password now. 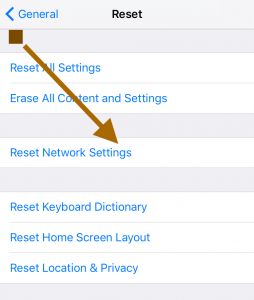 After it is inputted, hit Reset Network Settings. Having a Bluetooth device that won’t connect can be annoying, but maybe some of these steps did the trick for you. If you can now turn your Bluetooth on, and you are no longer experiencing the persistent spinning wheel, then congratulations to you! Start enjoying Bluetooth the way it was meant to be – hands-free and convenient. Furthermore, even if it wasn’t the issue here, make sure your Bluetooth accessory is charged up; it might save you some confusion later down the line.